Built by James Force Hart and named for the terraced land that separated the hotel from the tracks below, the Terrace Inn was a layover for the many passengers who changed trains in Union Point. 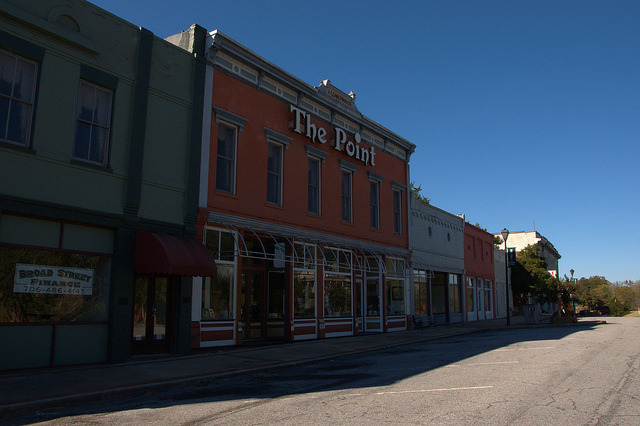 It was also a popular resort for people from Savannah, Augusta and Charleston who came to the area to escape summer heat and mosquitoes. It was busy well into the 2oth century but is a private residence today. Hawthorne Heights was first built by James Brook Hart as a small raised cottage. Hart’s wife Mariah Virginia Collier Hart was the founder of the Wayside Home. The house was named for a large hawthorn hedge surrounding its adjoining eight acre garden. The garden was an attraction in its own right, featuring a plant for every letter of the alphabet, as well as a tea bush sent to Washington by Commodore Matthew Perry from Japan in 1854. 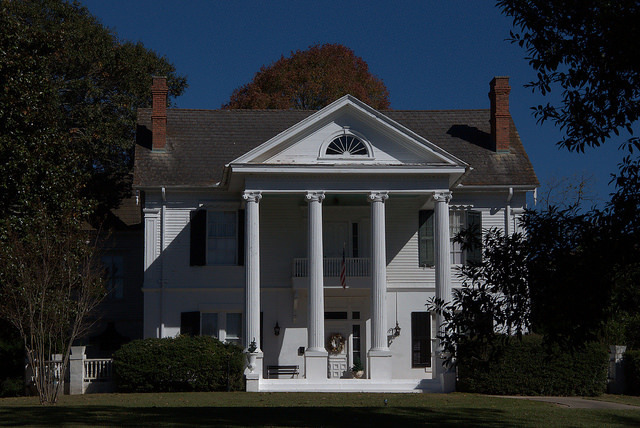 The house took on its present appearance in 1900, when the first porch was removed and the columns added. 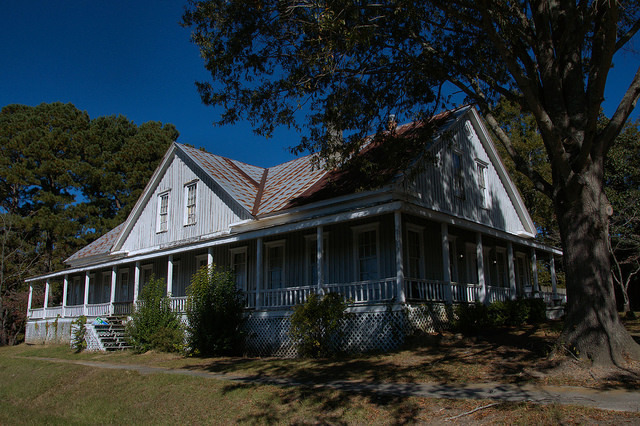 The Wayside Home operated in Union Point from 1862-1864, serving over one million meals to Confederate soldiers, sailors, and marines passing through the city, many enroute to the bloodiest battlefields of the Civil War. General James Longstreet paused here in September 1863 enroute to Chickamauga. The home wouldn’t have been possible without the participation of local women, who prepared meals and took care of sick and wounded soldiers around the clock. 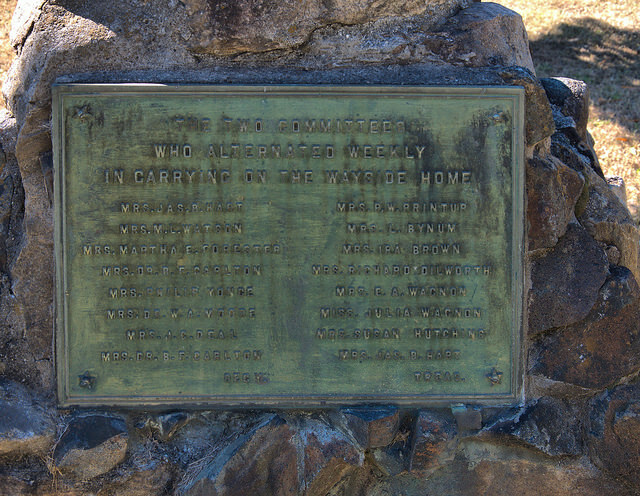 A small park overlooking Sibley Avenue memorializes the local women who made the Wayside Home possible: Mrs. James B. Hart (Treasurer); Mrs. M. L. Watson; Mrs. Martha E. Forester; Mrs. Dr. B. F. Carlton (Secretary); Mrs. Philip Yonge; Mrs. Dr. W. A. Moore; Mrs. J. C. Deal; Mrs. P. W. Printup; Mrs. L. Bynum; Mrs. Ira Brown; Mrs. Richard Dilworth; Mrs. E. A. Wagnon; Miss Julia Wagnon; Mrs. Susan Hutchins. 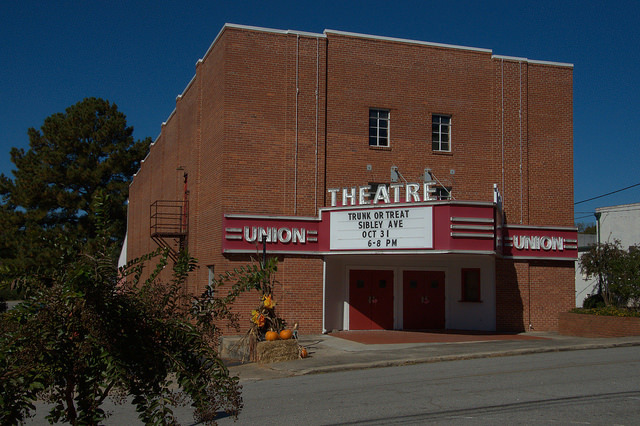 The Union Theatre closed in the early 1960s and was abandoned for many years. From 1984 until 1997 it was a furniture store and from 1997-2007 it was a harness and saddlery shop. 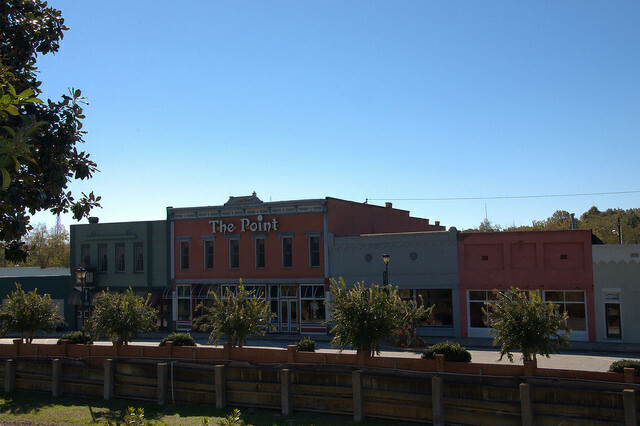 Community volunteers have led its revitalization for several years and though they still aren’t finished, it’s looking nice. 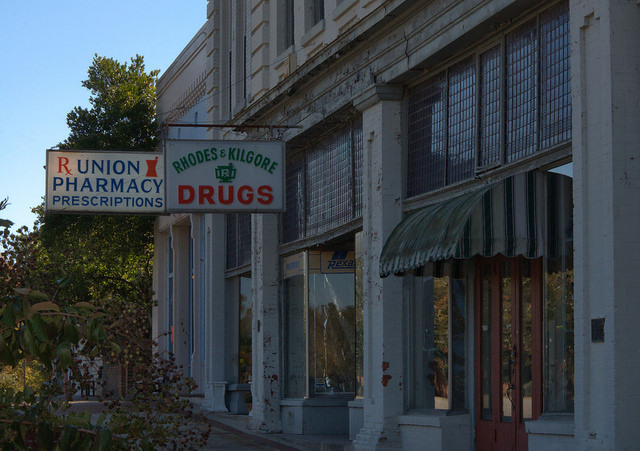 Union Pharmacy and Rhodes & Kilgore Drugs were located next door to each other when Union Point was a much busier place than it is today. 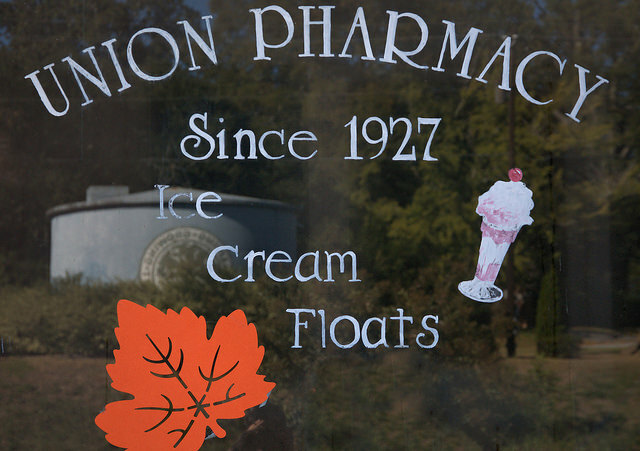 I believe Union Pharmacy (both photos below) is still open. 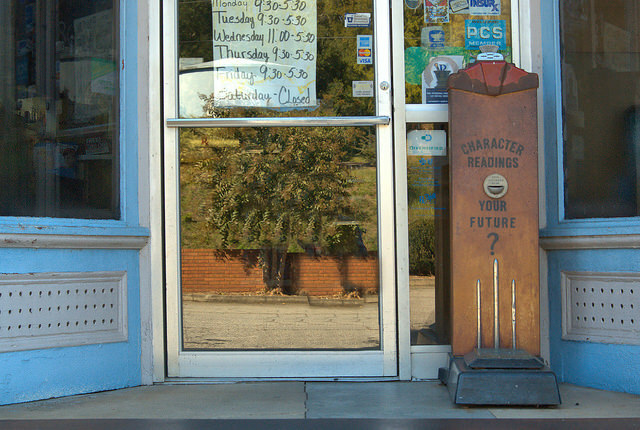 What could be cooler than ice cream floats and fortune telling scales? 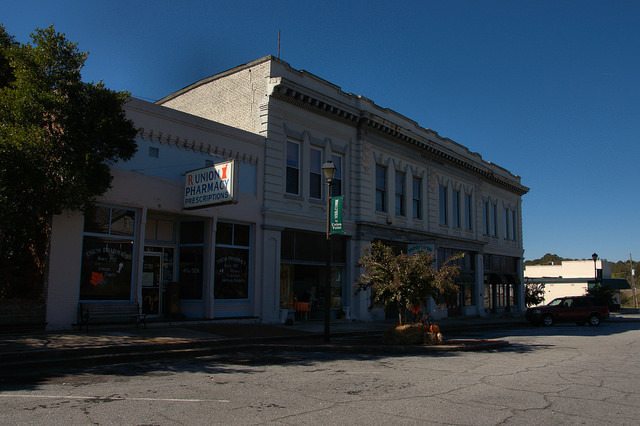 Sibley Avenue was the commercial heart of Union Point in its heyday, and a few businesses are still located here. 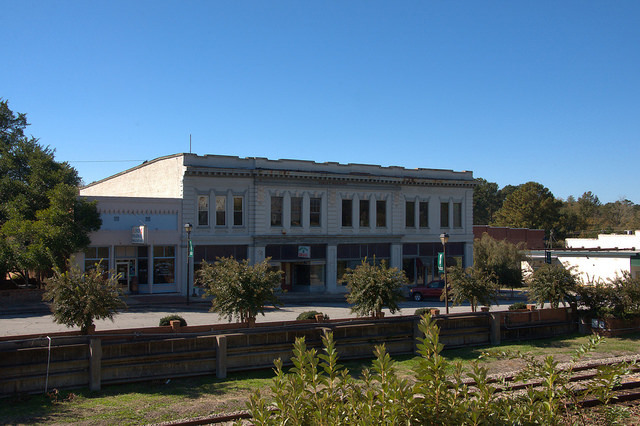 Most notable among the structures is the J. E. Carlton & Co. building (The Point, above) and the Sibley Building (below). And here are the same views from the terraced land above the railroad tracks. 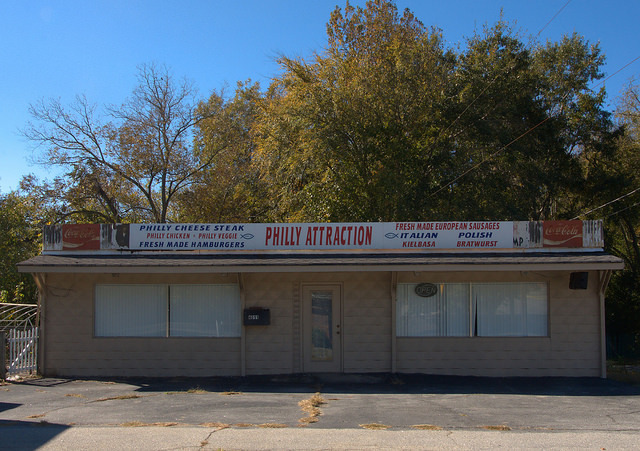 This restaurant, most recently known as Philly Attraction, is a good example of Modern architecture. Largely unpopular as an aesthetic, this style is often modified and fewer and fewer examples remain in their original state.